Most of us live a shadow of the life we’re called to. Perhaps more than any other book in the Bible, Acts shows us what life can be when lived in the power of God. An Unexplainable Life is an in-depth study meant to reignite a movement of the Holy Spirit in us individually and in our churches collectively. Erica’s love for God, His Word, and His church shines on every page. She masterfully guides us deep into the text, challenging us with Scripture as she shares how it is challenging her. ERICA WIGGENHORN is the founder of EveryLifeMinistries, bringing the truths of Scripture to transform lives. She teaches in various local and national venues and serves on the women’s ministry leadership team for her church. She’s also taught women in the Arizona State Prison system, and overseas. She loves to bring God’s Word through Bible teaching, conferences, seminars and retreats. A graduate of Azusa Pacific University, Erica lives in Phoenix with her husband, Jonathan, and their two children, Eliana and Nathan. For more information about Erica, her Bible studies, and writing/speaking ministry, visit http://www.EricaWiggenhorn.com. NOTE: I reviewed the paperback version. When I received this book, my first word was “WOW”. This is a Bible study that takes the reader verse by verse through Acts 1-12. This is an intense study that is perfect for those who truly want to know the word of God better. I like how all the questions and activities are in blue ink while all the commentary from the author is in black ink. The number of questions impressed me. The study is also full of cross references that pertain to the study. The introduction explains about a group leaders guide and some extra material available on the authors website. The book is organized beautifully. I love the touch of watercolor that ties into the blue colored questions. The paper is a nice thickness to be able to journal and write as you go through the study. This book is really a work of art. I wish I could find more Bible studies like this one. Angels: Who They Are, What They Do, and Why It Matters by Jack Graham discusses the topic of angels in a unique way. Instead of making a reference style book, Jack Graham tells stories involving angels and the character of God. Jack Graham splits the book up into four sections: Part One The Wisdom of Angels and You Start the Journey, Part Two The Protection of Angels as You Sustain Life’s Blows, Part Three The Encouragement of Angels as You Soar on Eagles’ Wings, Part Four The Presence of Angels as You Stay the Course With Christ. Each section is broken up into three to four chapters. FORGIVENESS When You’ve Sinned Against God, PERSPECTIVE When You Can’t See Strait, PROVISION When You Are in Need, CONFIDENCE When You Are Being Led by the Spirit, COMFORT When You Are Afraid, COURAGE When You Are in Danger, ADVOCACY When You’re Excluded or Despised, SHELTER In the Midst of the Storm, SPURRED ON When You’re Spiritually Lethargic, FAITHFULNESS When You’ve Been Broken, VICTORY When You Are Tempted, COMPASSIONSHIP When You Are Lonely, PERSISTENCE When You Want to Give Up, ASSURANCE When You Are Dying, INSPIRATION When You’re Short on Hope. Each chapter has several stories related to the chapter title. The wide range of subtopics leaves a wide variety for everyone to find something to relate to. My favorite part was in the first chapter where Jack Graham talks about the holiness of God. Jack Graham brings a new light to people found in the Bible and their encounters with angels that will leave the reader changed in a positive way. I recommend this book for anyone needing encouragement and anyone wanting to learn more about angels. 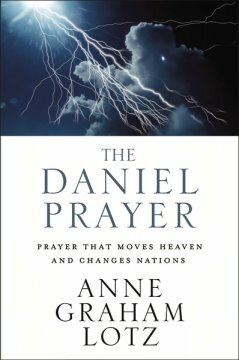 The Daniel Prayer by Anne Graham Lotz is full of prayers that would change lives personally, in communities, across the nations and the world. The Daniel Prayer is based on Daniel 9. Anne shows the reader to prepare for prayer, how to plead in prayer, and about how God answers prayer. the last section of the book is helpful for learning prayer patterns about prayers that are centered, compelled, confident, contrite, clear and for warfare. The Daniel Prayer by Anne Graham Lotz shows the passion that is poured out in Daniel 9 and how we can have that passion today for our world today. The note section in the back stood out to me with a beautiful walk though of all the scriptures used and other notes about the book chapter by chapter. I would recommend this book to anyone wanting deeper and more effective prayer either in group or personal study. We are vessels of God. Like the vessels in 2kings 4, God searches for vessels that are capable of carrying His glory. There are conditions that the vessels have to meet to qualify. God heals the broken vessels and makes them stronger. 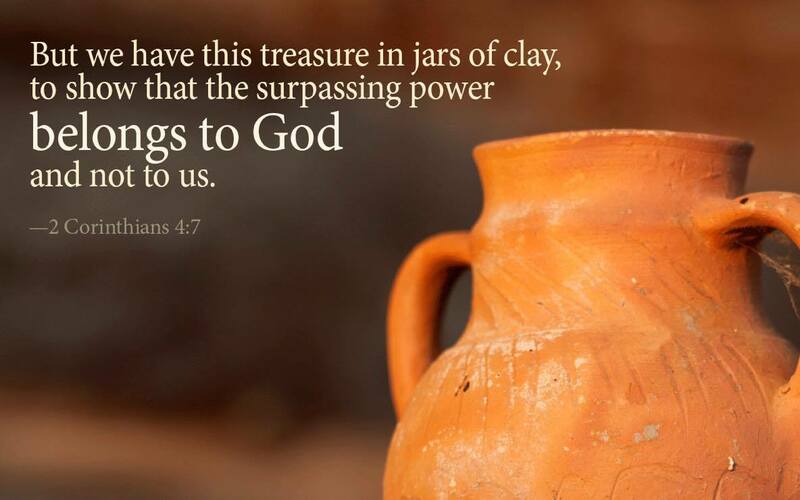 God creates each of us vessels like a master potter. Like Adam, God searched all of creation for a bride for His son but no created thing was worthy or able to carry His glory, so He created man and women in His own image so that we could have the relationship with Him that His Son was desperately desiring. We say that God is our obsession but really we are Gods obsession. He took His very words and formed them into man to relate with our form so that He could take upon our sins. He came and lived a perfect life so that He would be worthy for us, worthy of taking our sins, dying, concerning Hell and taking back the keys that we were so foolish with and raising up again. That’s obsession. Now the Holy Spirit searches for vessels that He can fill like the widow was going all over hunting vessels for oil. Gods glory isn’t fading. His glory is multiplying like the oil in 2kings. God is looking for willing, worthy vessels that have been cleaned so they don’t pollute the oil. Jesus is looking for His bride.